CHICAGO -- This edition of New Convenience-Store Roundup features new c-store openings, closings and more for the month of July 2018. The unscientifically gathered roundup—gleaned from company announcements, websites, email, social media and newspapers around the country, among other sources—is by no means complete, but it serves as a monthly competitive snapshot of newly opened or closed U.S. convenience stores, gas stations, truckstops and travel centers not previously reported in CSP Daily News. Click here for new c-store roundups from previous months, along with other grand-opening and new store coverage. Click here for recent M&A activity. Many of the stores listed here are owned by independent operators, while others belong to major chains. And many are part of CSP’s Top 202 list of the largest chains in the industry. Some represent new entrepreneurs and some are industry veterans, while others are longtime business owners exiting the industry. Click here to view the Top 202 c-store chains for 2018. Unless otherwise noted, the new locations offer the food, snacks, beverages, tobacco, merchandise, services and amenities found in most c-stores. Most offer fuel. 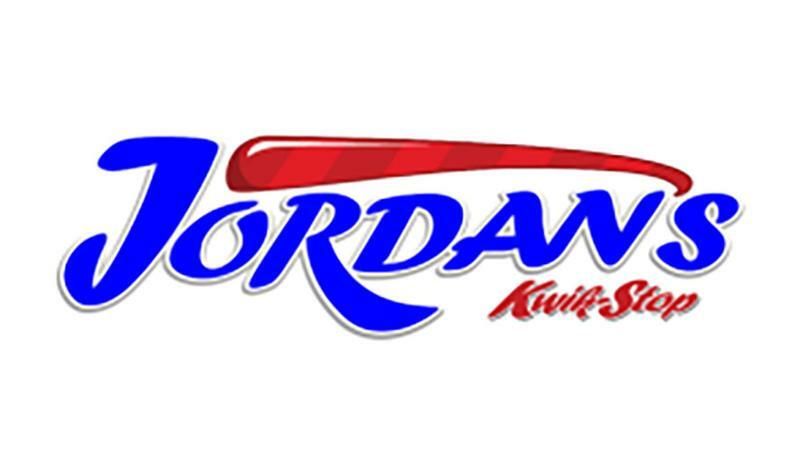 Jordan’s Kwik Stop, a new c-store in Portia, Ark., opened July 12. It features Chester’s Chicken. Casey’s General Stores opened new c-stores in Gassville, Ark., on July 26, and Walnut Ridge, Ark., on July 27. *Represents stores opened minus stores closed in this state for the month of this count only. Other c-stores not captured by this count may have opened or closed in the state. Big Y Foods opened a new Big Y Express Gas kiosk in front of the Big Y World Class Market in Stafford Springs, Conn., on July 2. It features six gasoline pumps and two diesel pumps. It also offers tobacco products and lottery. 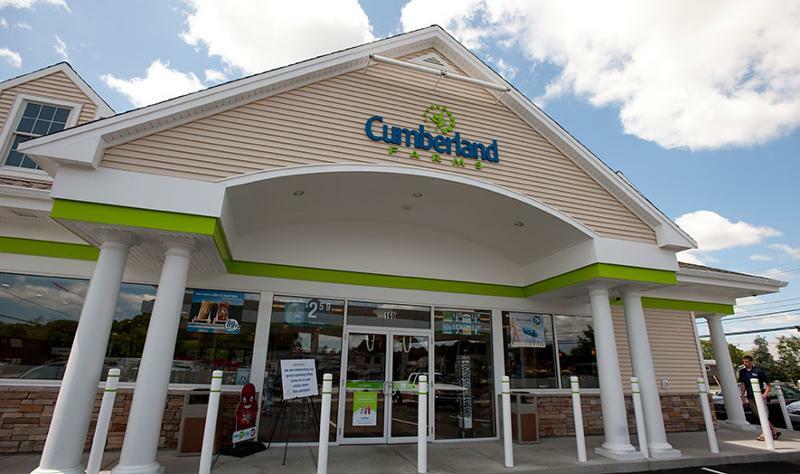 Cumberland Farms closed a c-store in Citrus Springs, Fla., on July 18. It reopened July 23 under new ownership as a Shell gas station. Cumberland Farms also closed a c-store in Hernando, Fla., on July 31. 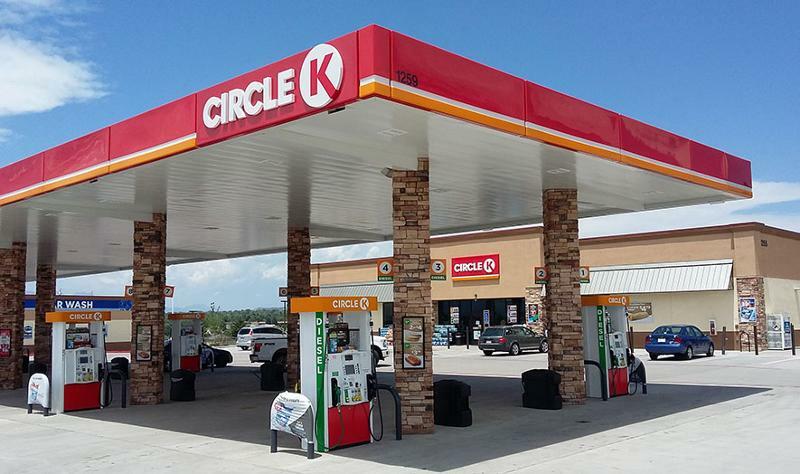 A Circle K c-store and Mobil gas station in Bloomington, Ind., closed on July 31. 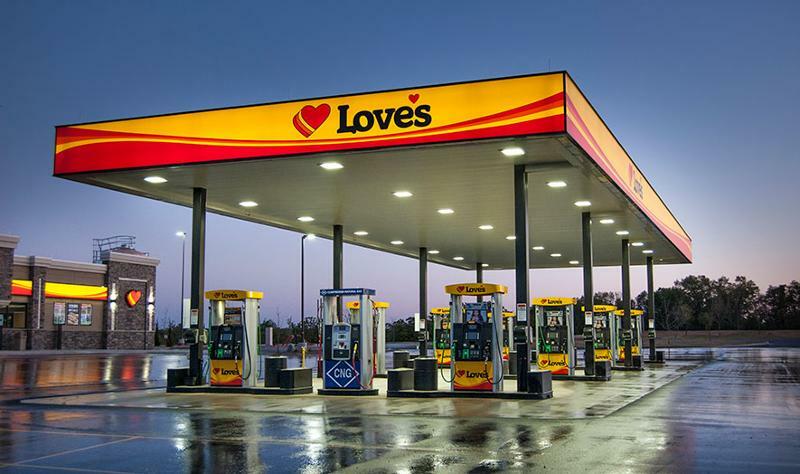 Love’s Travel Stops & Country Stores opened a new travel center in Abilene, Kan., on July 26. The more than 10,000-square-foot facility features a Hardee’s restaurant, 74 truck parking spots, five showers, laundry facilities and a Love’s Truck Tire Care center. Photo courtesy of Love's Travel Stops & Country Stores. 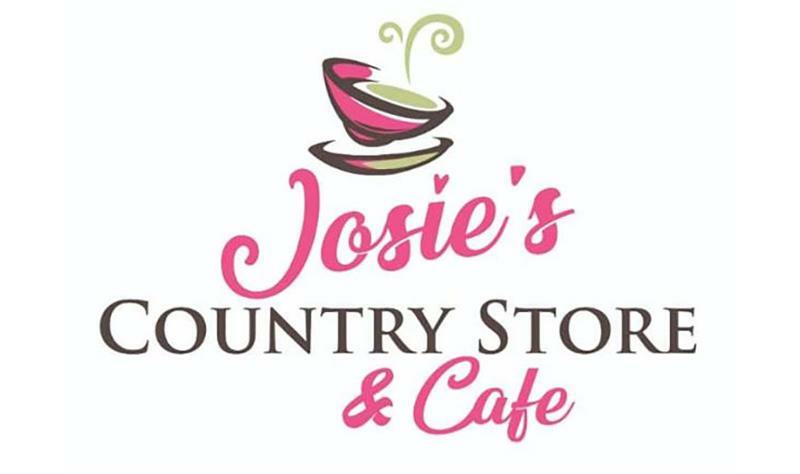 Brian and Josie Muir opened a new c-store, Josie’s Country Store, in Ellsworth, Maine, in early July. It features an open-concept kitchen. Josie Muir learned to cook growing up in the Philippines, managing kitchens for the Military Sealift Command. She runs the restaurant portion of the store. The menu features Filipino dishes such as fried egg rolls, along with pancakes and sausage, pulled pork sandwiches and seared salmon with pineapple salsa. 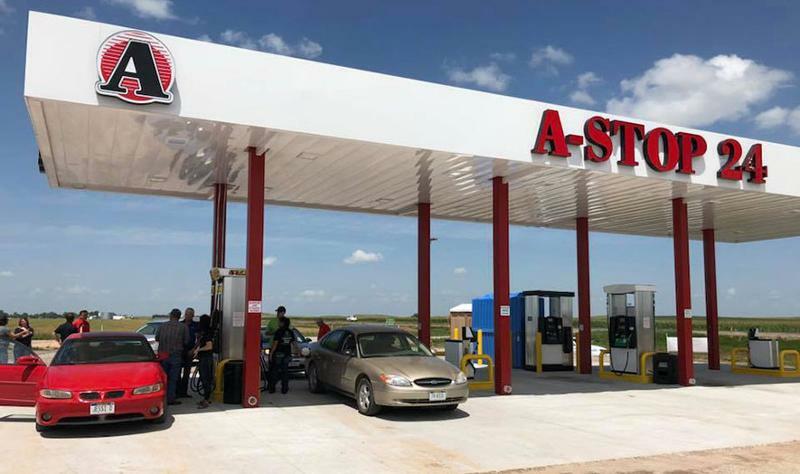 Aurora Cooperative opened the A-Stop 24 gas station in Grant, Neb., on July 20. It offers E10, E15, E30, E85 and diesel around the clock. Photo courtesy of Nebraska Ethanol Board. 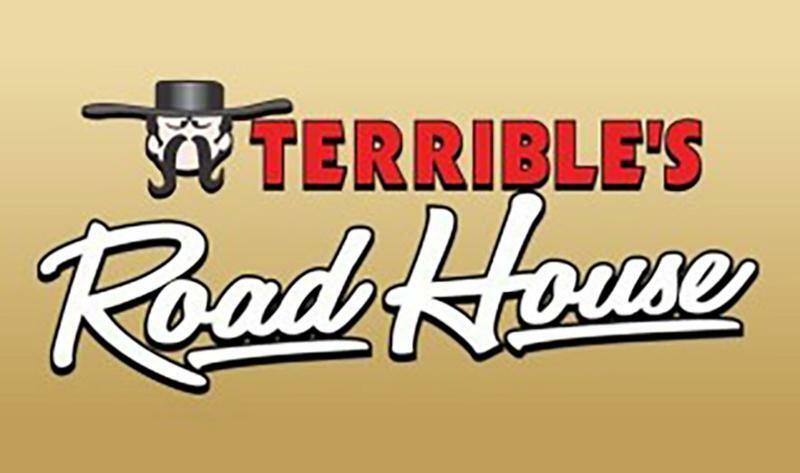 Terrible Herbst opened Terrible's Road House, which it said is the world's largest Chevron gas station, in Jean, Nev., on July 6. The 50,000-square-foot station has 96 fuel pumps and 60 restrooms. It has a Jack Link's merchandise store, a Red Bull lounge with lockers that charge cellphones, a beer cave with craft brews from Nevada, pepperoni jerky, nitro cold-brew coffee on tap, moonshine from City Lights Distillery, a mini-casino and a machine that makes instant slushies out of soda. It features a White Castle, an auto parts store, an arcade with three carousel rides and a 4,000-square-foot candy store. 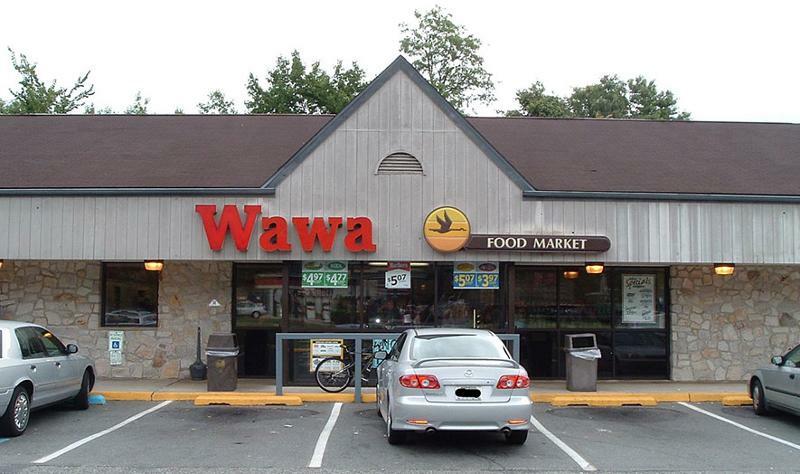 Wawa opened a new, 5,051-square-foot c-store in Rahway, N.J., on July 12. It has six fuel pumps. 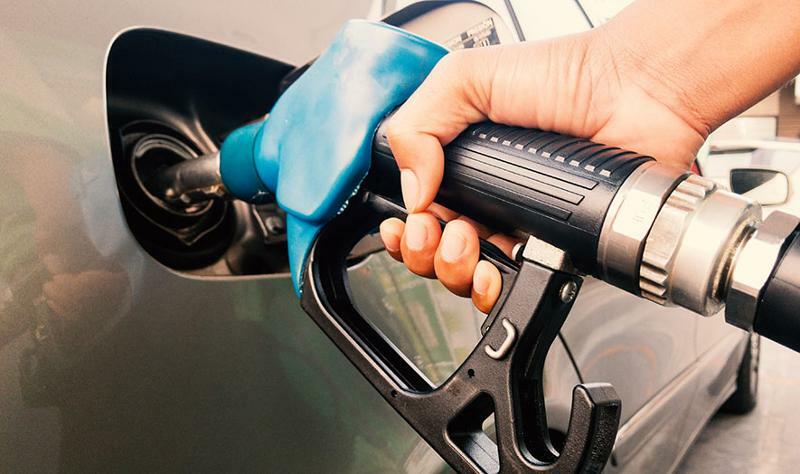 The Hard Rock Hotel & Casino Atlantic City in New Jersey opened the Rocktane Gas & Wash, a 16-pump gas station with a 5,100-square-foot c-store, on July 16. A 3,500-square-foot automated car wash will open at a later date. GivNGo Fuel held the grand opening of its new Floral Park, N.Y., location on July 27. GivNGo Fuel’s stated mission is to establish a national campaign using Pink-branded gas stations to raise funds for local charities. 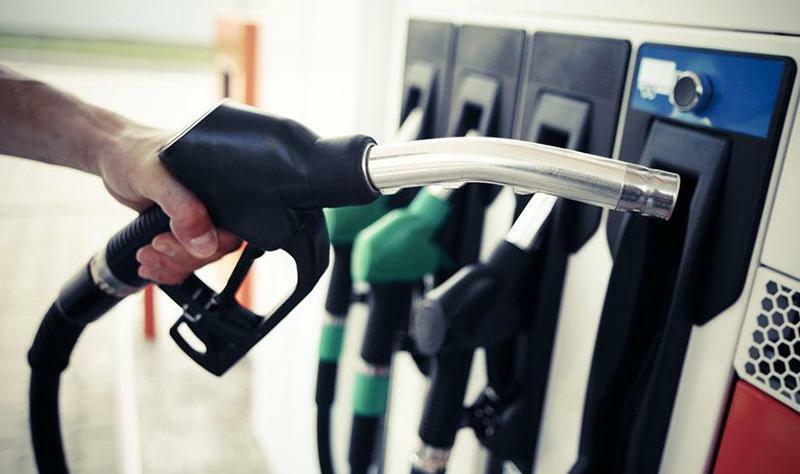 For every gallon pumped at the chain’s gas stations at all times, the company gives a portion of the proceeds to the PinkTie 1000 Foundation, a not-for-profit charitable networking organization. It donates funds to local charities every quarter. Stewart's Shops opened a new c-store in Middleton, N.Y., on July 27. 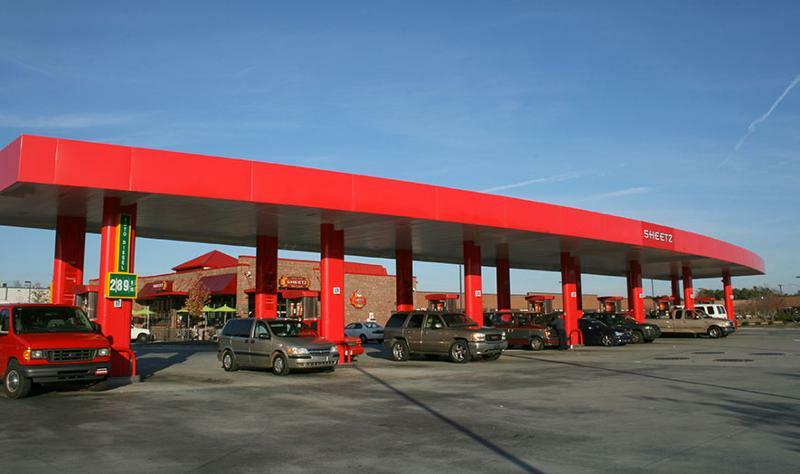 Sheetz opened a new c-store in Lillington, N.C., on July 12. 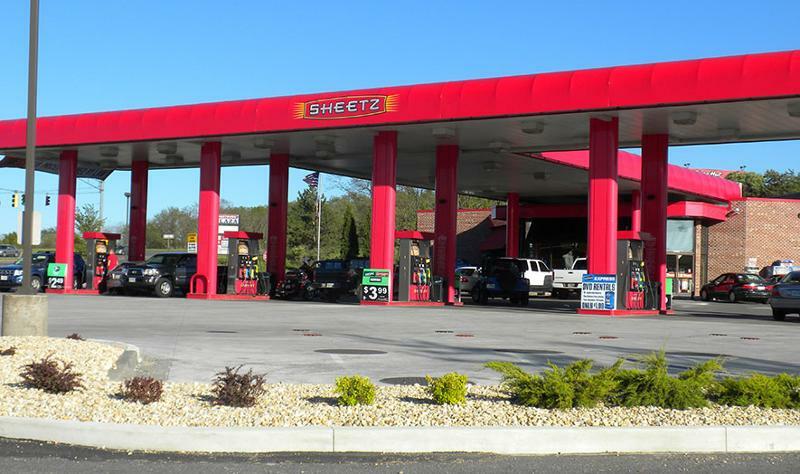 Sheetz opened a new 5,490-square-foot c-store with 12 gas pumps and a beer cave in Grantville, Pa., on July 10. Photo courtesy of Ildar Sagdejev. 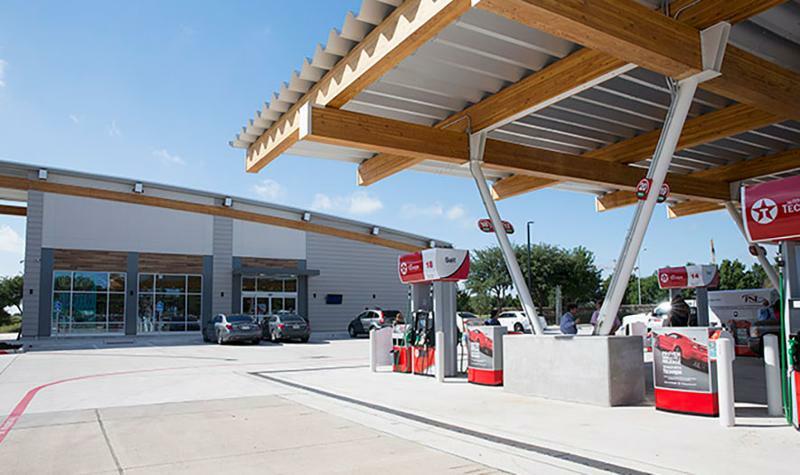 A new c-store and Texaco gas station, ABIA Retail, Food and Fuel, opened at the renovated cellphone lot at Austin-Bergstrom International Airport in Austin, Texas. It features electric-vehicle charging stations. Wind-generated electricity from Austin Energy’s Green Choice program powers the entire facility’s lighting for the parking lot, and the exterior is all LED. A rainwater collection and reclaimed water system irrigates the green spaces at the site. A Subway, Taco N Mama and Austin Java coffee with drive-thru service will open in the fall. White's Fuel Stop and Convenience Store in Danby, Vt., closed July 20 after 20 years in business. A sign on the door said it closed due to “unforeseen circumstances beyond our control.” The property is for sale. 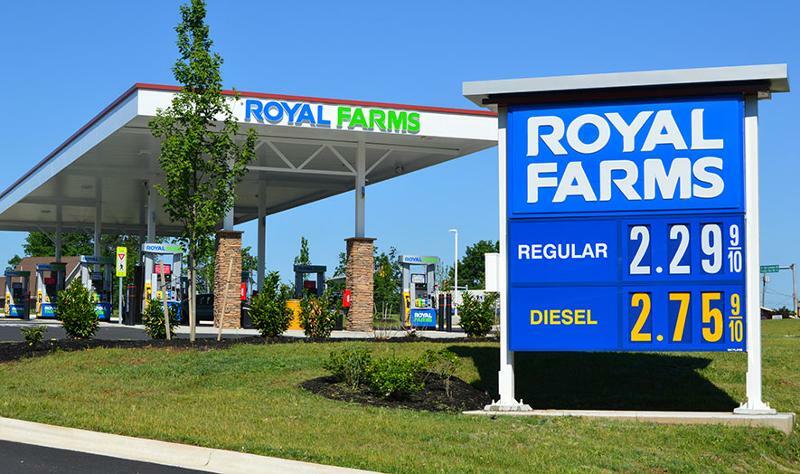 Royal Farms opened a new c-store in Front Royal, Va., on July 6. To be sure your locations are listed in this roundup, please send new store announcements to Greg Lindenberg at glindenberg@winsightmedia.com.